An unassuming young boy, a fourth grade drop-out, hailing from a poor farmer’s family and left fending for himself as an orphan at a very early age, grows up to be the shining beacon of the Telugu Film Industry with impeccable communication and language skills. So much has been written and talked about his childhood and medical condition, but little do we know that the magnetic capability of this individual rests on his experience and “humanness”. 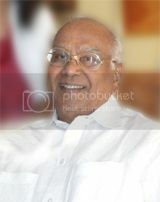 Here’s to the sparkling and charming grand old talent of the Indian Film Industry, the versatile, very humble Akkineni Nageswara Rao, the recipient of the 1990 Dada Saheb Phalke Award, India’s highest honor in cinema, also award recipient of the series – Padma Vibhushan, Padma Bhushan and Padma Shri. There is no award, the man hasn’t claimed. From a poor farmer’s family to the most brilliant actor Telugu cinema has ever produced – what was it like? My journey was like that of a monkey. Just as the monkey does not know its real strength, likewise, I just jumped on from one film to another not knowing my strengths. It is the directors and producers who gave me experimental roles and challenged me every step of the way. Since I started my career very early with no education, everything I have learned is from practical life. Often times, I relate my character to Devadas too. I lost something close to my heart, you can say childhood in this case because I started my struggle early on and I learned a lot from life just like Devdas. In those days, films were taboo unlike today where most people want to be glamorous and want to be compared to film stars. My experience is all about films. I learned and got educated through films. Yes, times have changed but there is still a section of the society that keeps saying that films spoil lives. To me, they make people real. It is because of films and the characterization of roles, we are able to differentiate between what is good and what is wrong. I am not talking about the scripts that come out these days. One Tamil film I did with Banumathi called Kaanal Neer showed reality where we die as lovers. The last moments of death is so vividly captured. 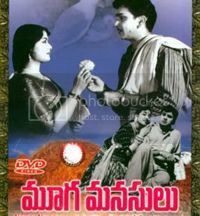 Likewise, another Telugu film Mooga Manasulu which was remade in Hindi as Milan with Sunil Dutt. You don’t get those producers and directors today. What was your experience dealing with so many directors, different genres…which genre did you prefer? As an actor, I cannot choose genre. It is not that I like any particular kind of acting. An actor should interpret every “rasa” . We all go through anger, romance, psychological suffering and devotion. The Navarasa, the nine stages of emotions we go through should be part and parcel of every role an actor plays. That makes him/her complete. But personally, I think two states of mind should always be there, life-long. I say Humor and Romance. Romance doesn’t mean sexual feelings. You need to romance with nature, when it rains, when there is blossoming of a flower, all that should continue. Without romance, there is no evolution. It is very important to laugh too. If you don’t laugh, you experience negativity. This is the secret to good health. It is very easy to drink and temporarily relieve your pain. But it is also very easy to laugh and forget the pain without ruining your health and mind. The second also makes others happy. When Ghantasala Balaramaiah spotted you at a railway station and introduced you to Telugu cinema – did you even know that this would be your chance at stardom? Well, I did my stage play of Tenali Ramakrishna and was going to Gudiwada in Andhra Pradesh, when I met Ghantasala Balaramaiah at the Vijayawada junction. He was looking for actors (Rama and Lakshmana) for his movie Sri Sita Rama Jananam. I was traveling in the third class and he was in the first class. He saw me and asked me if I would be interested in movies. He was looking for both Rama and Lakshmana and he told me that if he would get a boy taller than me, I would be Lakshmana and if he gets someone shorter than me then I would be Rama. I chuckled and said I was Ok for anything. It was a great opportunity because in those days, I was played the heroine part in plays and theater. So, you think theater and films have come a long way with regard to status? I cannot say that it has come a long way, but yes, there is a difference in the way things operate. In those days, the audience for theater, films and plays were drunkards, bachelors and people who were aimless. Nobody from a dignified or educated family would encourage people going to or becoming a part of the industry. That way, all actors and actresses had to struggle. As an actor- where did you think you lacked? And what did you do to overcome the weakness? I performed in a lot of plays, so I was very confident of doing any role. I don’t think I lacked anything. I was well experienced even before coming to films. I never felt that one role was better than the other. My job was to perform to the best of my ability. I did romantic roles, comedy, devotional with equal elan, and I think I was accepted in all those roles. Personally, I liked doing romantic and comic roles. Even off screen, these both elements are so needed in one’s life. Romance need not be sexual, observing the early morning sunrise, the dawn, the morning walk, nature when flowers bloom, when it rains, dusk is all romantic. I always had an eye for the artistic element within myself. Which actress did you love working for? Why is there a dearth for female oriented films? All the actresses I worked with played an important role in all my movies. I think women were given far more power packed roles during old days than now. I have seen the recent crop of movies, the woman’s role doesn’t appeal to me. One movie I remember was Ardhangi. The way Savitri acted in the film left all of us speechless. What a wonderful performer. I wish I see more scripts like that. I think we got a national award for that film which ran for more than 100 days. This was in 1955 and based on Saratchandra Chatterjee’s short story. So, you see we thought much ahead of our times. I loved the roles Anjali Devi, Vyjayanthimala and Jamuna did during their days. Sharada also did some powerful roles. You don’t see such roles in today’s times. Scripts are poorly written. And you were doing well in Tamil films. 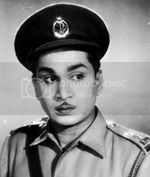 You acted with thespian Sivaji Ganesan. Sivaji was my close friend. In one word, he was very talented and brilliant. I knew him when he made his debut in Parashakthi. We were shooting for a movie at the same in 1952 for the tamil film Poongodhai with Anjali. We met in Cuddalore. 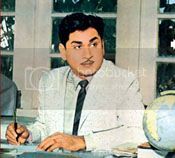 One interesting thing to note is that Sivaji became successful because in the 1940’s and early 50’s, we were all Telugu actors living in Madras (now Chennai) and working in both Telugu and Tamil films. 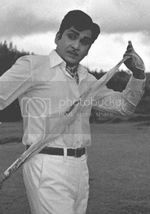 Sivaji Ganesan had an advantage because he was a Tamil boy with very good Tamil accent and dialog delivery. So, that saw him grow in Tamil cinema. We acted again in 1953 with Anjali Devi in Pardesi a Telugu film where he plays my adopted son. I played an elderly character. 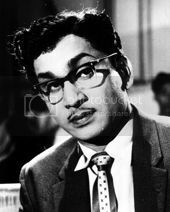 Very nice man and I still cherish all the moments I shared with Sivaji and MGR too. How did you connect with Tamil Nadu’s favorite actor and politician MGR and your colleague NTR? NTR is junior to me and he entered the industry as a married man. We did around 14 pictures together, so people and media thought it to be rivalry because two talents clashed on screen. Also, when we do movies separately, the distributors arranged for same day release so that they can make money. You see it even today with Rajinikanth and Kamal Hassan. You see it in Malayalam with Mammooty and Mohan Lal and also to an extent in Telugu now with younger heroes. This is all an agenda to make money. In movies, I was senior to NTR. Off screen, age wise he was 15 months older to me. But we came from the same district, same taluk– Gudivada. We had mutual respect for each other. MGR was known to me. I was not very close to him but I had high regard for him as an actor and as a politician. No other actor sacrificed all his wealth for politics. MGR did that. I have deep respect for him. Why didn’t politics interest you? What did you think of NTR in politics? Right from day one, politics did not interest me. NTR himself requested me. I had to say some reason or the other to stay out of it. I knew all the politicians right from the then President Sanjiva Reddy to Prakasam Pantulu, the then CM of Andhra Pradesh. All of them requested me to get into politics. It is good to be in politics but you have to use politics like the way K.Kamaraj did. I did not have a taste for it. He was a true and great leader. He defined politics to India. I was working with NTR one day and he initially mentioned to me about entering politics. I told him then that bluffing is a talent in the film industry, but bluffing is a necessity in politics. Even if you can’t do, you should behave like that. See, Kamaraj sacrificed his entire life for politics. He gave his pleasure, his mind towards politics. Today, that same mind is now being used by people for destructive purposes. Everybody came into politics and what happened? Krishna, Sharada, Jamuna, all of them entered. MGR sacrificed everything. I wouldn’t have survived. I just cannot bluff. Since your acting span covers three generations- how do you think the concept of acting has changed? Acting has not changed. People are still emoting and working on their expressions. Whether it is natural or not, I don’t know. Nowadays, there are no stories. They aren’t admirable. It is all about technique. Whether it is music or expressions, there is more sound in the movies today and less script. I am happy that I could stand for myself, accept a film, refuse a film if I don’t like and limit myself to so many movies a year. You see, I have over 75 years in the film industry. I made sure that I did only 5 pictures a year because I wanted to spend 60 days in a year with my family and children. It is very important for me to be with my family and enjoy those moments. That is why you will notice that I only did a little over 255 films. When you keep the quality alive by not overdoing your roles, your success rate will be high, there is longevity of the character and family life is happy. It is very important as an actor to have a solid foundation in terms of family. Do you see anything wrong in today’s film industry? Why is commercial cinema so exploited with themes that are not meant for family audience? Yes. We don’t have good and tasteful producers who want to play an integral part in making a good movie that experiment with roles. I would attribute the issue to producers and scripts. Personally as an actor I entertain and don’t preach. However, I think it is the social responsibility of a commercial film producer to make at least one movie every now and then with a strong script. When you make two hits in a row, do one film that showcases something good for the community. When I was offered Devdas in 1953, a lot of people in the unit said that ANR cannot handle the role. The producers took it upon themselves and experimented with me by removing my shyness by doing things that would be fun on the sets. I know producers think about commercial success and profit but I certainly think that movie makers today have a social responsibility and they should strike a balance between quality and commerce. Do you think media is now getting to be too intrusive in the personal lives of film personalities? Yes. Previously media portrayed the film personalities accurately. Now with all these channels, everybody wants news. They want to sensationalize and increase TRP ratings. So they end up showing actors and actresses doing unreasonable things and it has become dirty. But to that point, not all of them in the industry are also living their life in the right manner. Some of them want attention and they like it. So, media is playing along. Things are changing now because actors themselves are telling things about their life in Twitter and Facebook. It was not like that in olden days. We gained respect by keeping quiet and doing our work. This kept our dignity alive. 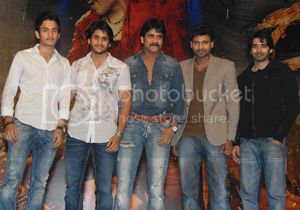 Tell us about your charming son Nagarjuna – did you envision him to be carrying your baton of success? What about your grandchildren? Seriously, I never ever thought he will be a hero. I thought he will get married, start a business and that is the reason I sent him to Eastern Michigan University. He was studying and came to India on a visit and then when I asked him what business he intends doing, he asked me time for three days. He comes back on the third day and says that he wants to act. I told him that he doesn’t know anything about acting. So, I started teaching him some dialog delivery and then he enrolled in Asha Chandra’s acting school, learned dancing, fighting and acting. He made his debut in a film called Vikram. Going by his track record, I am very proud of his talent. He has done a wonderful job as an actor and more than that of being a good human. I am sure that his portrayal of Shirdi Sai will be a great success. My grandchildren are yet to make their mark. They have my blessings always. My granddaughters administer the Annapoorna studios and some grandsons are studying and are interested in business. A couple of younger ones want to act. Nowadays it is important for grandparents to just give blessings. I don’t like interfering in their career path. As we wrap up our conversation, he wished the community well and as parting words of wisdom emphasized that exposing oneself to the intricacies of the world in general is a good thing, be it the United States, UK, Australia or India. “All that I ask people from my country is to be a good human being. Live anywhere you want to, but don’t do bad things. That itself qualifies goodness and greatness”. Special thanks to Sudhakar Reddy and Madhav Rao Tummala for facilitating the interview. 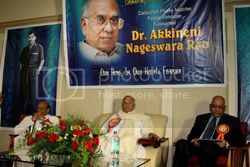 Here are some pictures of Akkineni Nageswara Rao and his meeting with fans at a local DTA event in Michigan on Friday, 8/24/2012 (Pictures courtesy: Detroit Telugu Association).